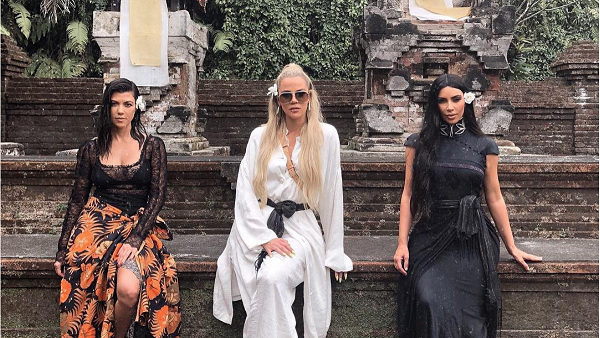 We had a lot of laughs viewing this snippet of how the Kardashian sisters brunch, Filipino-style. Kim Kardashian and sisters Kourtney and Khloe of Keeping Up With The Kardashians star in this spoof video. It was posted on January 12, 2018 by content producer SJ Jen. The ending scene of this 1:20 minute video carries the tone of the usual KUWTK sisters' banter. So Kim's order arrives—a fruit platter as the appetizer. Kim says, "Oh my god, this is so good. You should try it. Like, nakita ko ‘to sa mga friends kong mayayaman. They eat fruits before the main dish." Kourtney snaps back at her: "Leche ka, Kim. Pinabiyahe mo 'ko mula Fairview hanggang Cavite para kumain ng prutas, ha? Ha?"